Dozens of opportunities to earn CE credit are available through our publications and live events. Print CE courses are displayed below. Information on live events can be found here. Ocular foreign bodies typically arise following an acute injury to the eye. 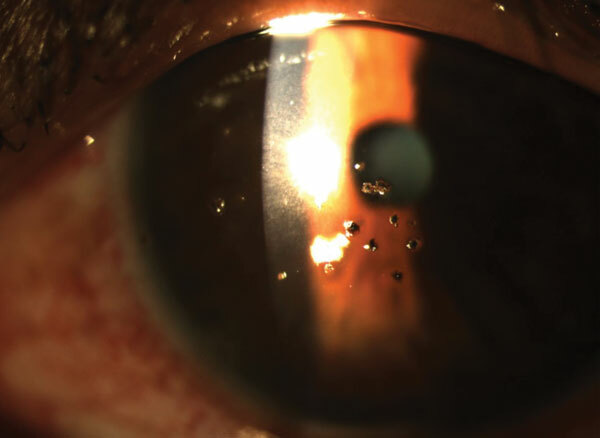 When this occurs, patients often report directly to the emergency department, even though optometrists have the tools and ability to medically manage many of these emergent cases. Optometrists should be proactive in educating their patients regarding what to do in the case of an ocular emergency such as a foreign body. In addition, ODs should make sure their office staff is properly trained to identify and triage these emergency patients. Optometric Study Center: Courses published monthly in Review of Optometry and Review of Cornea & Contact Lenses, offering either 1 or 2 hours of CE credit. Processing fees apply. Exam valid for credit up to three years from release date. Supported CE: Courses offered without exam fee, supported by an independent educational grant from a commercial interest. Typically valid for credit for one year from release date; longer active terms may exist for some exams. Archived CE: Courses have expired but are displayed for reader interest. No credits available. 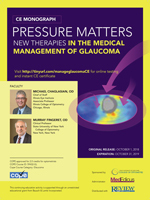 Optometrists must understand the role of nitric oxide in glaucomatous eyes, and the importance of achieving target IOL levels, evaluating new sites of action and considering emerging medical therapies for management of glaucoma patients.